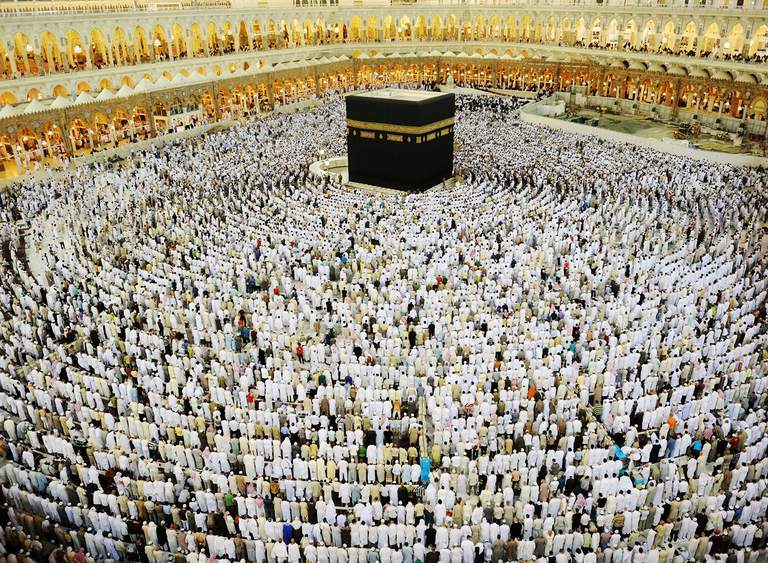 The Ka'aba (literally "the cube" in Arabic) is an ancient stone structure that was built and re-built by prophets as a house of monotheistic worship. It is located inside the Grand Mosque in Makkah (Mecca) Saudi Arabia. The Ka'aba is considered the center of the Muslim world and is a unifying focal point for Islamic worship. When Muslims complete the Hajj pilgrimage to Makkah (Mecca), the ritual includes circling the Ka'aba. According to the Quran, the Ka'aba was built by the prophet Abraham and his son Ishmael as a house of monotheistic worship. However, by the time of Muhammad, the Ka'aba had been taken over by pagan Arabs to house their numerous tribal gods. In 630 A.D., Muhammad and his followers took over leadership of Mecca after years of persecution. Muhammad destroyed the idols inside the Ka'aba and re-dedicated it as a house of monotheistic worship. The Ka'aba was damaged several times after Mohammad's death, and with each repair, it took on an altered appearance. In 1629, for example, heavy flooding caused the foundations to collapse, necessitating a complete reconstruction. 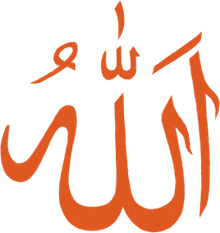 The Ka'aba has not changed since then, but historical records are vague, and it is impossible to know if the current structure closely resembles the Ka'aba of Mohammad's time. It should be noted that Muslims do not worship the Ka'aba and its environs, as some people believe. Instead, it serves as a focal and unifying point among the Muslim people. During daily prayers, Muslims face toward the Ka'aba from wherever they are in the world (this is known as "facing the qiblah"). During the annual pilgrimage (Hajj), Muslims walk around the Ka'aba in a counter-clockwise direction (a ritual known as tawaf). Each year upwards of two million Muslims may circle the Ka'ba for five days during the Hajj. Until recently, the Ka'aba was open twice a week, and any Muslim visiting Makka (Mecca) could enter it. Now, however, the Ka'aba is open only twice a year for cleaning, at which time just invited dignitaries can enter it.